My two books for teenagers ‘Diary of a Parent Trainer’ and ‘My Big Fat Teen Crisis’ have both been sold into a number of other countries as well as the UK, which has been absolutely fantastic in terms of advances and opportunity. I have the amazing (and very lovely) Jane Willis, Foreign Rights expert at United Agents, to thank for this. Thanks to Jane’s sterling work, I have received some fantastic news about Diary of a Parent Trainer. 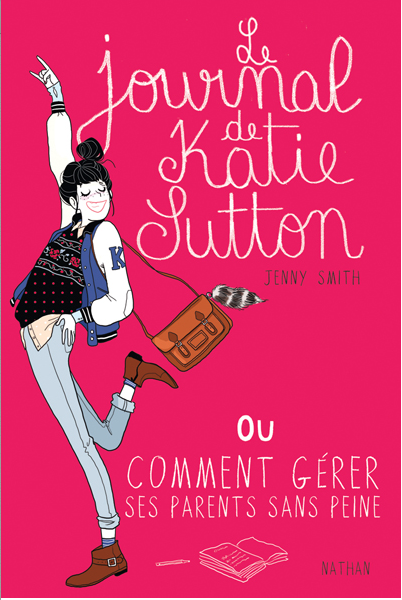 In France, where it is called ‘Le Journal de Katie Sutton’, it has sold out all 10,000 copies, and then quite a lot more! The publishers in France, Nathan, must take full credit for the absolutely brilliant cover illustration and design and the tireless selling and marketing which has got it noticed and into the hands of teenagers. Which means…..MY FIRST ROYALTY CHEQUE! What a fantastic feeling. It means that I can at last get a new washing machine (I broke the door of my current one, so when it is running I have to prop the door shut with a hockey stick).